Don’t deny it! It’s true! 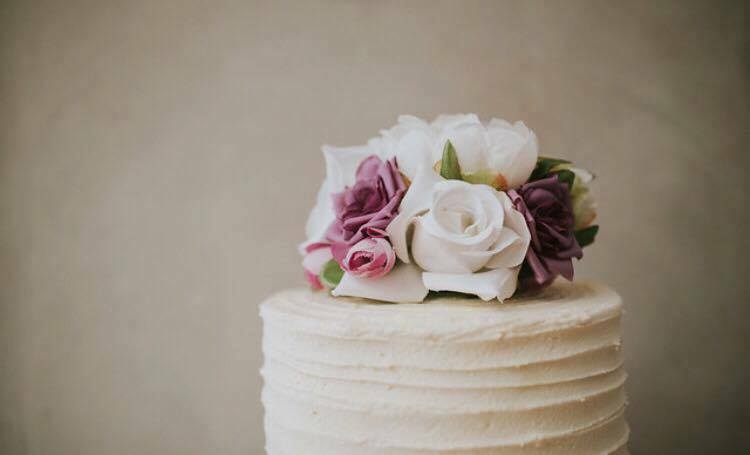 It’s marked every important occasion – birthdays, graduations, baby showers, random Tuesday nights, and, of course, weddings. We all know it’s the first thing we glance at when we walk into a reception and we all clamor to be first in line to grab a piece. Which is why we are SO excited to have had the chance to chat with Janine, a qualified chef and the owner of Temptation Cakes. 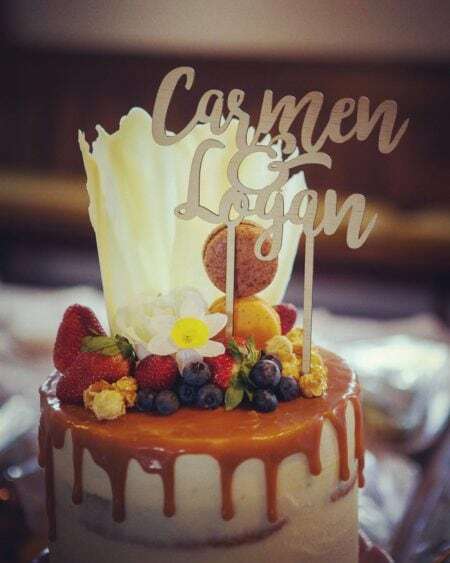 We’re constantly drooling over her delicious cakes on Instagram and Facebook, and we spend far too much time staring at her incredible designs! Today, Janine shares a little about Temptation Cakes and its success. WHAT’S TEMPTATION CAKE’S STORY? HOW DID YOU START YOUR COMPANY AND WHAT’S HAPPENED BETWEEN THEN AND NOW? I started baking as a very young child with my big sister, Melissa, and my dearly loved Mum overseeing us. The first thing I ever baked was cupcakes, at a guess I was 4 or 5 years old my sister being 6 or 7. I have been hooked ever since. Baking makes me truly happy! I lost my Mum to Cancer at the end of last year and I am still so devestated. She did nothing but support me through my entire baking career. She even requested I create a cake for the lovely people at the Hospice who looked after her in her last month. I was a chef for over 20 years but I always ended up being in charge of the pastry section where my bosses saw me shine. In 2007 an aquiantence asked me to create a cake for her sons 7th Birthday and offered payment for it as it was a two-tier cake and quite complex. I went ahead and made that cake, she was delighted with it, and so I popped it on Trademe! I then sold a few from that Trademe ad, with the clients coming in to the cafe based in Ponsonby that I was working at at the time as head chef. It went from there really, and in 2012 I had enough clients to go out on my own and start Temptation Cakes. NOW MORE THAN EVER, STANDING OUT AND HAVING SOMETHING UNIQUE OR DIFFERENT TO OFFER IS REALLY IMPORTANT IN THIS INDUSTRY. HOW YOU DO FEEL YOU’VE DONE THIS? I am a very small business (it’s just me) so I do not have a shop of my own I rent an A-Grade kitchen that I work from when I need it basically, but most cakes come on the weekends so you will find me there most nights later in the week. For this reason I am set up as a delivery company, and it is working out really well for me and especially for my clients as it is a pretty stress free process, when they don`t even have to pick their order up. I think my business stands out in that I have A1 customer service, all those years working in hospitality really taught me to always be onto it in getting back to people asap. Clients are constantly telling me how great I am at correspondence and speedy replies, I am also open to any ideas when it comes to design. Basically I will try anything. 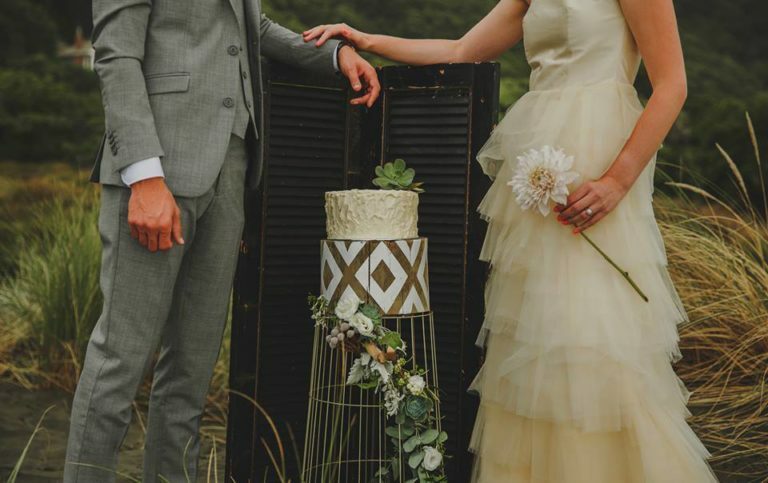 I am very much into rustic styling – I have always loved the look – so I think I have made myself a name in this look within the Auckland wedding scene. All I can say about that is I dream cake! I come up with ideas in the middle of the night often! A very hard question! 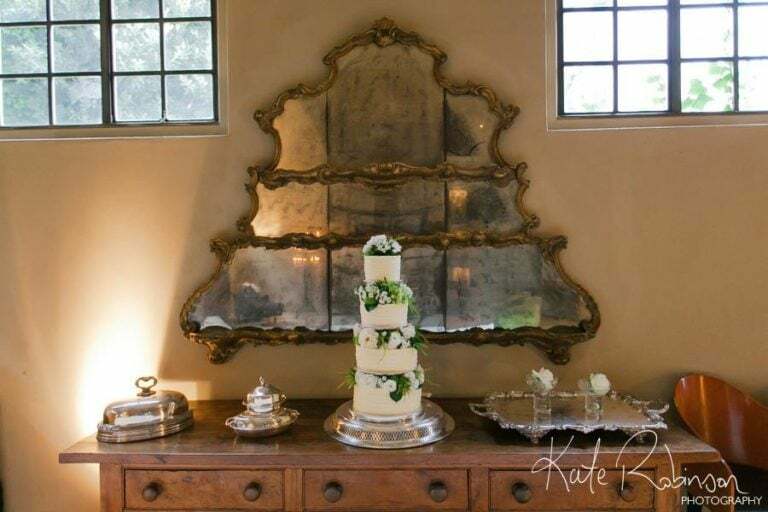 I LOVE doing wedding cakes as I get to see different venues and their set up and feel the very special vibe behind the scenes. 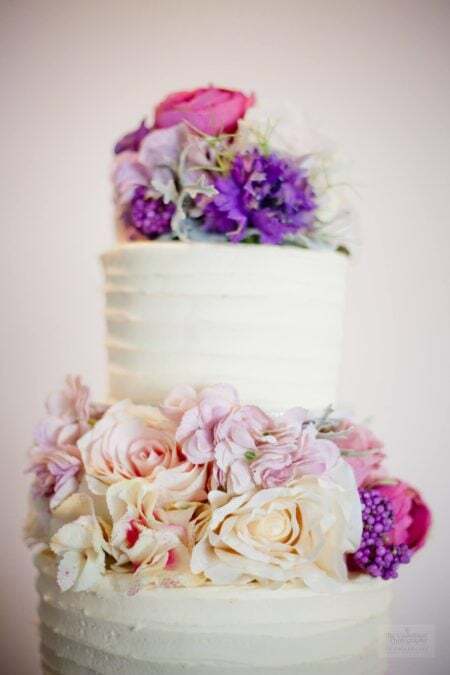 It`s a very cool feeling, so yes all wedding cakes are up there actually. 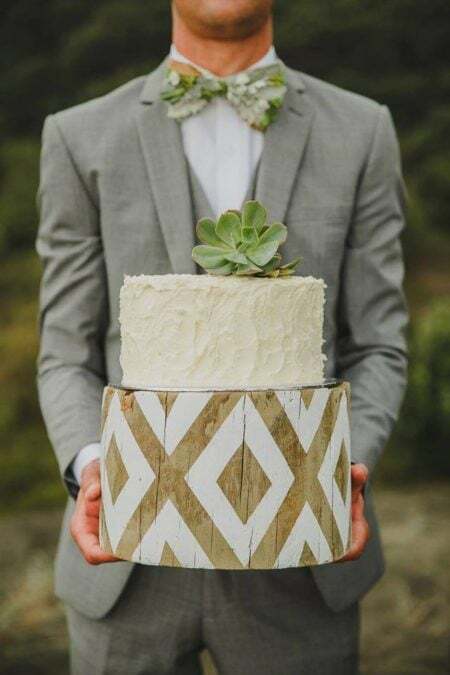 I am inspired by many cake artists actually, but I have always loved rustic scenes, rustic vibes, so the very fashionable rustic cake scene at the moment could not make me happier. 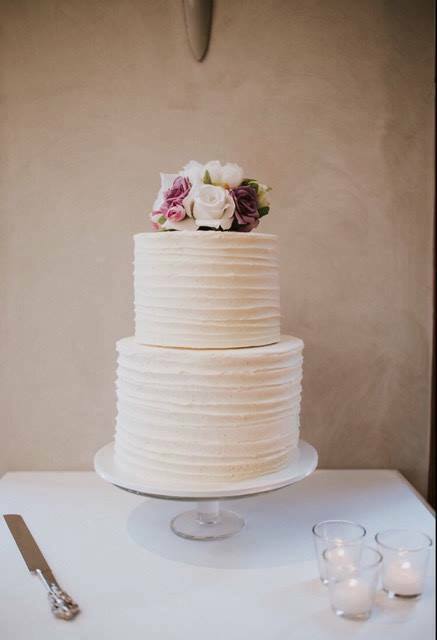 WHAT TIPS OR ADVICE CAN YOU GIVE TO COUPLES WHO ARE ORDERING THEIR CAKE? Get in up to a year in advance, but no longer as costs for everything go up so a quote now may change in two years time. FINALLY, WHAT’S NEXT FOR TEMPTATION CAKES? Well to be honest I love where I am now! I spent 20 years as head chef and it was VERY stressful, so I want to keep Temptation Cakes a small boutique on line cake business and keep it real. When you call my business you will get me, when you email I will answer, I will deliver you cake too! I’m a firm believer that if you want something done properly, do it yourself. 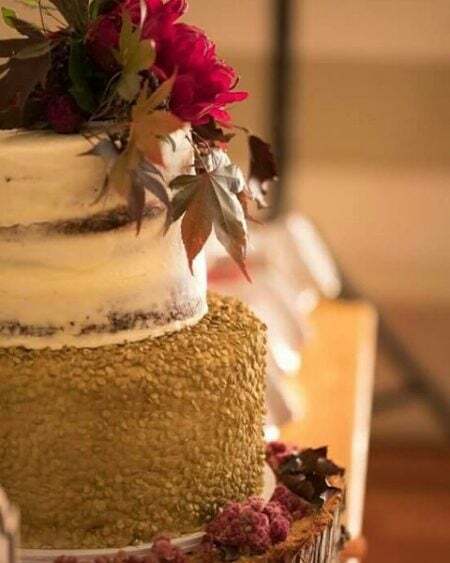 Janine’s promise to you is that she will always deliver top quality cakes and provide excellent customer service, getting back to you within hours not days like some other companies. 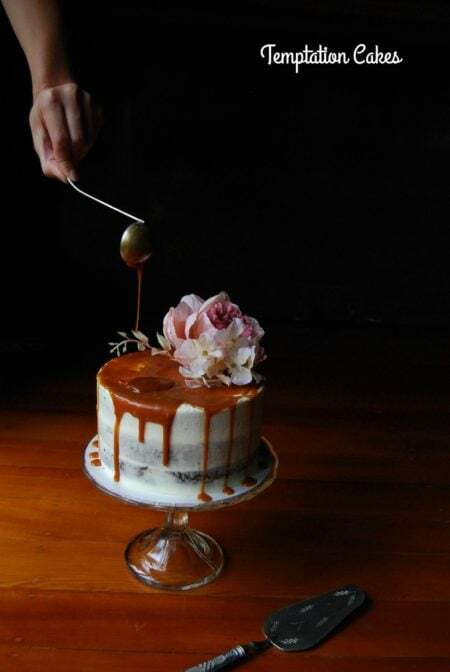 Temptation Cakes not only delivers on taste, but also directly to your door, free of charge within Auckland on all cakes over $100 (Non Rural). Also check out their Facebook page here where you can check out her latest work and specials. 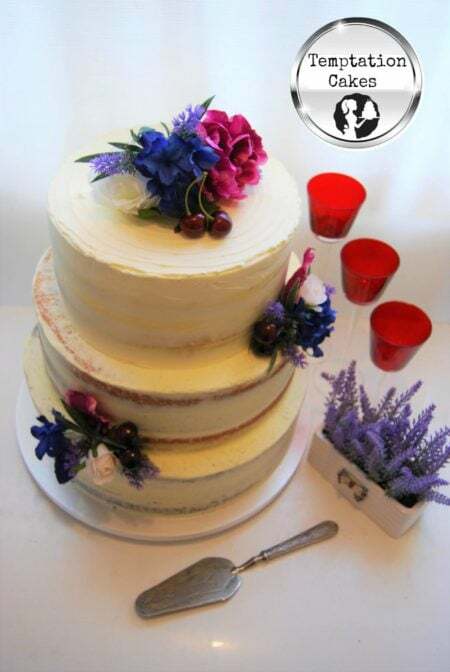 Mention seeing Temptation Cakes on Backyard Weddings, to receive a huge $100 off any 3 or 4 tier wedding cake, from the Temptation Cakes website. To qualify for this deal orders must be placed by the end of June and a 50% security deposit is required to lock in your date, dates are subject to availability, and your wedding must be held before the 31st of December 2017. Ombre cakes are not included on this $100 off deal sorry.